Why Meditate? What neuroscientists have to say! 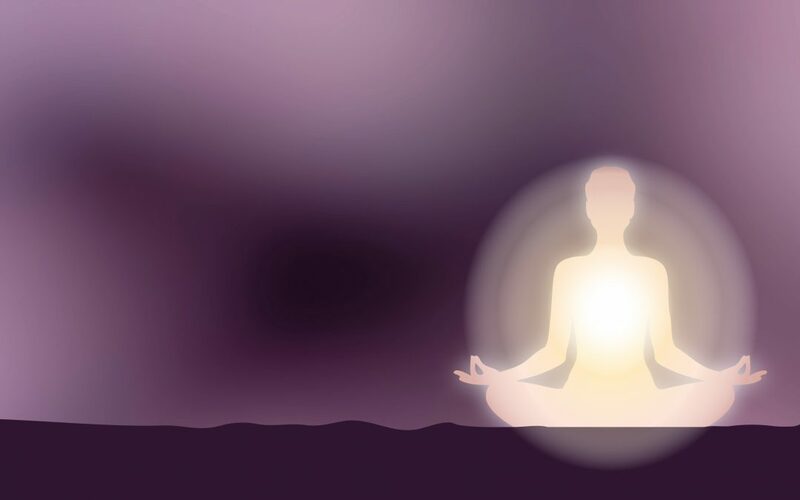 For thousands of years, meditation has been extensively practiced in many civilizations, as a means of cultivating a state of well-being and for spiritual purposes. Its influence on the brain and body is now being studied in clinical settings. The chapter in the Study called “Meditation and Neuroscience: From Basic Research to Clinical Practice” reviews the meditation effects at the physiological, attentional, and affective levels and the scientific paradigms used to study these effects. Brain-imaging has been used to help determine the hypothesis of meditation-induced emotion regulation and suggests that it involves brain plasticity. Claire Braboszcz , Stéphanie Hahusseau , Arnaud Delorme, Cerco, Faculté de Médecine de Rangeuil. Private practice of Dr. Hahusseau. The research in “Meditation and Neuroscience: From Basic Research to Clinical Practice” includes many extensive studies by professionals and covers a wide range of subjects and benefits. Below is a brief overview of only a few of the benefits of meditation mentioned in the study. The subjects have been chosen because of personal interest. I appreciate the work, as it allows meditation to become more widely known as an important, effective and safe practice to help people heal. Since meditation is known to be a relaxing technique, it is reasonable to assume it has positive effects on the functioning of the body. In many meditation traditions, the breath, body and soul are linked, and focusing one’s attention on the rhythm of the breath as part of the practices, tends to involuntarily slow the pace of the breath down. This slowing down of the rhythm of the breath affects the nervous system. With the respiration rate slowed, the heart rate also slows down. The studies showed decreased blood pressure was found in both healthy individuals and patients with hypertenion. The feelings of stress relieved. The Immune system is indirectly under the influence of the central nervous system via hormonal signalling. It was found a faster peak rise for the antibody response to a flu shot among healthy meditators than among the non-meditators. Through assessing the quality of the natural killer cells, it was found the brain is positively correlated with the activity of the immune system after a meditation practice. Having nurtured the nervous system, by the protection against stress, and the boosting of the immune system, meditation has been shown to reduce the neuronal decay due to normal aging. It was found Meditators did not present sleep patterns associated with aging. It was concluded that meditation slows down the brain-aging process through a mechanism which has yet to be fully discovered. The brain-aging process is slowed. The World Health Organization predicts that in 2020 depression will be the ranked the second most common illness worldwide. It is critical alternative treatments are found as the continued use of antidepressant over several years may create side effects and addiction issues. Mindfulness meditations have been found to be effective in reducing the relapse of major depressive episodes. The aim is to help with the changing of individual’s thoughts about and the interpretation of negative emotions. A process of observing one's thoughts in an emotionally detached way helps with this change. “It is remarkable how liberating it feels to be able to see that your thoughts are just thoughts and that they are not "you" or "reality"... The simple act of recognizing your thoughts as thoughts can free you from the distorted reality they often create and allow for more clear-sightedness and a greater sense of manageability in your life…"
Unpleasant emotions and life events are not avoidable, however through the mindfulness meditations, it helps people manage the way in which they live with them. The research also includes case studies whereby a meditation-based emotion exposure technique (MBEE) was used to assist patients with eating disorders who have suffered trauma from the past. The MBEE process, in the briefest possible description, guides one to deeply feel the emotion, experience the memories connected to the emotions in a detached way through the ‘observation’ of the experiences. The MBEE technique in the study although very effective, I believe would be improved with two further steps which in my experience is imperative to create a permanent clean emotional slate. Their patients would benefit from being guided to create forgiveness for the issues of the past. Forgiveness is not condoning another’s bad behaviour. Forgiveness releases the negative attachment and emotional pain that the lack of it causes. Their patients would benefit from recreating the memories of the past in a way in which they would have loved the experience to have been. It is not important ‘what was real’ or ‘what was the truth.’ What is important is whatever it takes to improve the way one feels right now. With these two extra steps in the meditation process, when reflecting back, the mind will choose to re-enact the last memory of the former experience with the feeling of forgiveness inside. Changing the memories of the past to those which makes one feel better is a trick to the mind worth the healing it brings. Meditation has been a part of my life for over 30 years. Guided meditations, very similar to the MBEE technique, although including forgiveness and recreating the past as mentioned above have helped me overcome the feelings of anxiety, depression and grief. Having had firsthand experience with the incredible shifts which can happen in one’s emotions through specifically designed guided meditations, inspired me to use these practices as a healer to assist others. As with most healers, we must heal ourselves first as this is the process in which we gain the confidence and competence to help and serve others. Below is my case study with one of my clients, Mary. Mary, 60 years of age, experienced trauma with both parents being verbally abusive, bullying and unkind to her throughout her life. She eventually, after gaining the confidence and strength distanced herself completely from them. When she came to me she felt emotionally heavy about her past and although not outwardly angry, she harboured that emotion deeply inside. finally, the young Mary and the current Mary merged together with the feelings of forgiveness inside. The result: Mary has released the feeling of anger, and replaced that feeling with forgiveness. Whenever she thinks back at her parents, she recalls the loving memory she created. She still chooses not to have anything to do with her parents, but instead of feeling angry and hurt by them, she imagines sending them love through the air. Three years later, Mary reported feeling harmony inside and her spiritual growth has since become a very important part of her life. Through the guided meditation above she feels she has been released completely of the pain from her parents in the past. The guided meditation above is a very brief description of the experience. If this process intregues you, the an online program of visual guided meditations called Higher Communications will help you gently go through the experience in your own time and in the comfort of your own home. The meditations are created in movie form to also serve those who have difficulty visualising, those new to meditation and the hard of hearing, who otherwise would miss out. With the prediction of the World Health Organisation of the probable rise of depression worldwide, this study has highlighted the urgency and importance of the inclusion of a meditation practice as part of the full treatment recommended by Medical Practitioners. People are becoming more familiar and comfortable with alternative practices such as energy healing, yoga and meditation. The healing results have become more widely tested in a scientific way. Because of this change, I hope to see the World Health Organisation by 2020 reporting the rise of happiness as becoming the most common feeling worldwide instead. Are you new to Meditation? The visual guided meditations in the program Higher Communications, is a very comfortable, soft introduction to the meditation process . There is a flow and a building of self-awareness as you progress through each of the segments. The meditations are in movie form, to perfectly serve the hard of hearing, those who find it difficult to visualise and those who are new to meditation. Meditation allows you to quieten your mind and shift thoughts to create better feelings. It helps you feel balanced and have an improved view of the world. be inspired, with decisions made easier, and a clear direction to follow, as you open yourself up to allow the non-physical help you have surrounding you. The very first step in meditation, Letting Your Thoughts Go is available here for you to try for free. Perfectly serving the hard of hearing, those who find it difficult to visualise, and people new to meditation. It is my intention to help make a difference in peoples lives. I hope to have helped you too. Higher Communications is a very comfortable and soft introduction to the meditation process. You will experience emotional healing and spiritual growth through a series of 17 visual guided meditations which are in movie form. The meditations perfectly serve the hard of hearing, those who find it difficult to visualise and those who are new to meditation. There is a flow and a building of self awareness which is enjoyed by everyone, healing and growing with ease, in the comfort of your own home. 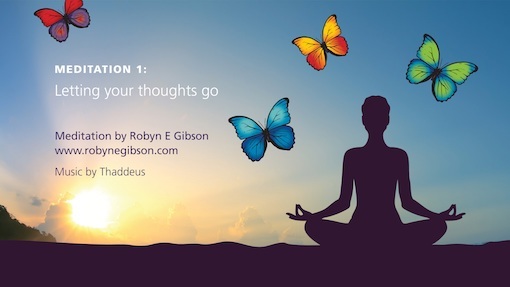 Experience the very first step in the meditation process ‘Letting Your Thoughts Go’, for free. How to help heal grief through automatic writing! Anxiety – is it in your head, or your body – or both? How to feel empowered in difficult situations! Inspired by this article? Share it!